Pageant Associates is a firm believer in the power of education. Among all of our contestants, we stress the importance of education. Why? Because knowledge is power. And because we want all of our contestants to be their “best selves,” we fully advocate the power of education. That’s why we turned to former Miss Indiana Teen USA® titleholder, Kristina Ellis, to share how her experiences in the world of Pageants helped her to obtain college scholarships and earn multiple degrees. After winning the crown, Kristina went on to earn graduate degrees – all of which were fully covered by scholarships. Today, she is a national expert on scholarships: she’s written several books on how to win scholarships and continues to speak widely about the topic in national media outlets (both broadcast and print). Kristina sat down with us and shared her transformational story, one that we are sure will leave you inspired and ready to reach your educational goals. Kristina, how do you define being your "best self"? I define being your “best self” as fulfilling the potential you have inside of you and using it to make the world better. What are five words that you use to describe yourself? Tenacious; Goal-oriented; Committed; Adventurous; and Strategic. Tell us a bit about your experience in the Pageant world. What drew you to competing in Pageants? Initially, I really wanted the mountain bike that was a prize in our local Christmas Pageant! Haha! Beyond that, my mom always encouraged me to challenge myself and shoot for big dreams. Like so many little girls who dressed up in princess tiaras and grew up watching Pageants on TV, doing Pageants felt like a dream for me. I was fortunate to get involved with some really great Pageants early on that encouraged inner beauty and self-esteem. They would send out training materials that focused on believing in yourself and being the best version of you, which I read repeatedly and really took to heart. This approach made me feel so encouraged and excited to be involved with Pageants. Being disciplined is paramount to success in Pageants. My pastor defined discipline so well when he said, “Discipline is nothing more than doing the things you don't want to do so you can be who you want to be and have what you want to have in life.” Of course, it's easy to do the things you feel like doing or work only when you feel motivated . . . but the real magic occurs when you can push through in those times you don't feel like it, when your brain is telling you to just settle in and take it easy. To help me stay disciplined, I'm big on setting goals and laying out the smaller action steps needed to help me reach my intended goal. In a world that moves fast and offers a ton of distractions, staying laser-focused on my goals helps me consistently put in the work needed to achieve them. And when I'm honoring my goals with that level of intentionality, I continue moving closer to my best self. Tell us a bit about your mindset as you approached each Pageant. How did you prepare both mentally and physically? My mom instilled in me a confidence that led me to believe I could achieve anything I set my mind to—if I was willing to put in the work. That motivated me to approach Pageants with a lot of drive and confidence. I'd visualize myself successfully competing in the various stages of the competition and feeling good about my performances. I made sure to keep a really positive outlook and tried my best to avoid negativity and comparisons. Growing up, my gymnastics coach always told me to keep my head up when I was on the balance beam because if I looked down, it's actually easier to fall off. I've taken the same approach to Pageants and other areas of life achievement that may seem nerve-wracking: “look up” at what's ahead and stay focused. I saw Pageants as a competition against myself, and if I could do the absolute best I knew I was capable of, that was what mattered. Fortunately, I was a cross-country runner in school, which helped tremendously with physical preparation. I also worked at the YMCA, so when training for Pageants, I'd make sure to stay an extra 30 minutes to get a workout in before going home. Kristina, it sounds like both commitment and grit were key ingredients in your success in the world of Pageants. Can you tell us a bit about why commitment and grit are important for any Pageant contestant, and how they can help a contestant develop her best self? Competing in Pageants can be tough. You may have an amazing performance onstage and still not take home the title. Or perhaps people will say mean things about you or question your ambitions. While it's normal to feel disappointed and unsure for a time, don't take it to heart or give up. Instead, allow each trial to make you stronger and wiser the next time. Six months before I won Miss Indiana Teen USA®, I lost in a Pageant that only had one other competitor. It would have been easy for me to give up or tell myself, “I didn't have what it takes,” but instead it lit a fire in me to work 10 times harder than I probably would have otherwise. Sometimes other people may not see your potential, but you have to hold on to your own belief in yourself and your abilities. With such consistent effort and "grittiness," even underdogs can rise up to lead the pack. Let's fast forward to today. How did the ability to cultivate your best self help you become the successful scholarship winner, author, and national speaker that you are today? I’ve realized that becoming your best self is a process. I feel like I have yet to reach my best self, and because of this, I'm always chasing that person I hope to become. No matter what level of success I achieve, I believe there is further room for learning, growth, and improvement. I seek to enjoy the moment and celebrate achievements, but at the same time, it’s important to me to never become complacent or lose my drive. Always seeking to challenge and improve myself has led me on incredible journeys that have allowed me to achieve what I have today. I’m really proud of the person I’ve become, because I’ve fought to become her. And I’m really excited to meet me 10 years from now, because I know she’ll be a much cooler and wiser version of myself. Kristina, your story is an incredibly powerful example of what it means to be your “best self.” Is there anything else you'd like to add? In my experience, preparing for a larger Pageant takes a lot of work. Pageant weekend is the fun part, but it’s what happens in the days and weeks beforehand that can separate you from the crowd. I spent hours at our kitchen table going over interview questions and speeches, practiced walking with poise, and hosted many carwashes and fundraisers to raise money for entry fees. The learning and growth experience in preparing for a Pageant translates into the “real world.” Unless they’re competing in Pageants, very few teenagers spend hours and months practicing and preparing their interview skills . . . But because it’s part of Pageant prep, I did it. I learned quickly in my college scholarship and business internship interviews how much those skills quite literally pay off. I’ve since had the opportunity to do several television and magazine interviews, and I know that my past experiences with Pageants prepared me to think on my feet. My mom and I had a deal growing up: I could participate in any Pageant I wanted to, but I was responsible for raising the funds to compete. This added an extra level of challenge, but ultimately was another area of learning for me. I became really good at selling why Pageants were so valuable to a young woman’s growth and encouraging sponsors to make a donation. I’m so grateful for the sponsors who believed in me enough to help me compete and gain all the benefits I have from Pageants. I worked really hard leading up to each Pageant. My mom and I would spend hours practicing what I learned from reading training materials and watching videos. Then, when the weekend came around, I tried my best to loosen up and have fun. I won Miss Congeniality in a few of the larger Pageants I competed in, and if you ask me, I believe it’s largely because I truly had a blast on Pageant weekend! 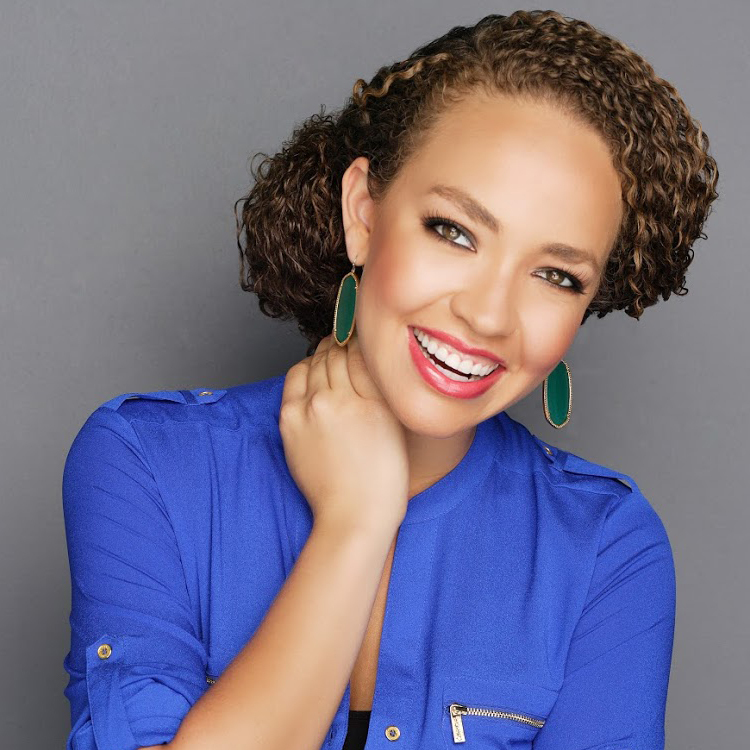 Kristina Ellis is the acclaimed author of Confessions of a Scholarship Winner and How to Graduate Debt-Free, as well as a sought-after speaker on college prep and finance. Kristina was a Coca-Cola National Scholar, a Gates Millennium Scholar, and a US Presidential Freedom Scholar while earning various other scholarships, grants, and awards. She graduated from Vanderbilt University with dual majors in human and organizational development and business planning and entrepreneurship, and earned her master's degree in education from Belmont University. Kristina has appeared on Yahoo! Finance, Fox News, Katie Couric, and the 700 Club, and in multiple publications including Seventeen Magazine, CBS Online, and BeliefNet. She lives in Nashville, Tennessee. For more insights from Kristina, visit her website: kristinaellis.com, or get social with her @authorkristinaellis (Facebook) or @mykristinaellis (Instagram and Twitter) today!